Apple announced some exciting new things at their September 2017 keynote event just a couple of days ago. 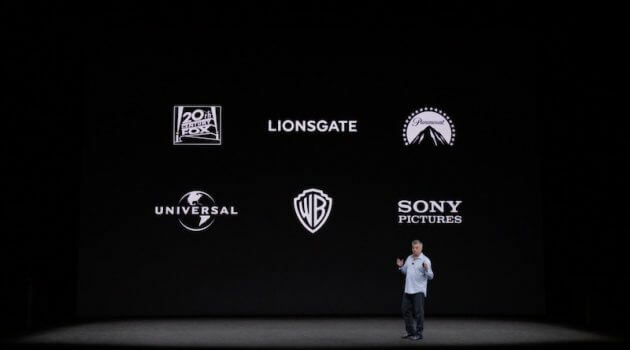 Amongst the exciting news was the Apple TV 4K, and the companies plan to sell 4K movies for just $20. When making the announcement, Apple showed a list of studios that will be taking part in this plan that will see their films sell for $20 on iTunes in 4K. That list included 20th Century Fox, Lionsgate, Paramount, Universal, Warner Brothers and Sony. Perhaps most notably though, it did not include Disney. Signs point to the reason for the omission being the price tag. Disney currently sells its films in 4K on apps like Vudu for $24.99. Apple’s negotiations with the studios reportedly went down to the wire, with the studios pushing for a higher price tag. In the end though, the six other studios agreed to Apple’s terms. Disney did not. The Apple TV 4K will be available for order tomorrow, but future owners will have to live without the ability to watch Disney, Marvel and Star Wars films in 4K. VIDEO – “DuckTales” as told by Emoji hilariously recreates the famous Disney cartoon theme song – Woo-oo! Older Older post: VIDEO – “DuckTales” as told by Emoji hilariously recreates the famous Disney cartoon theme song – Woo-oo!